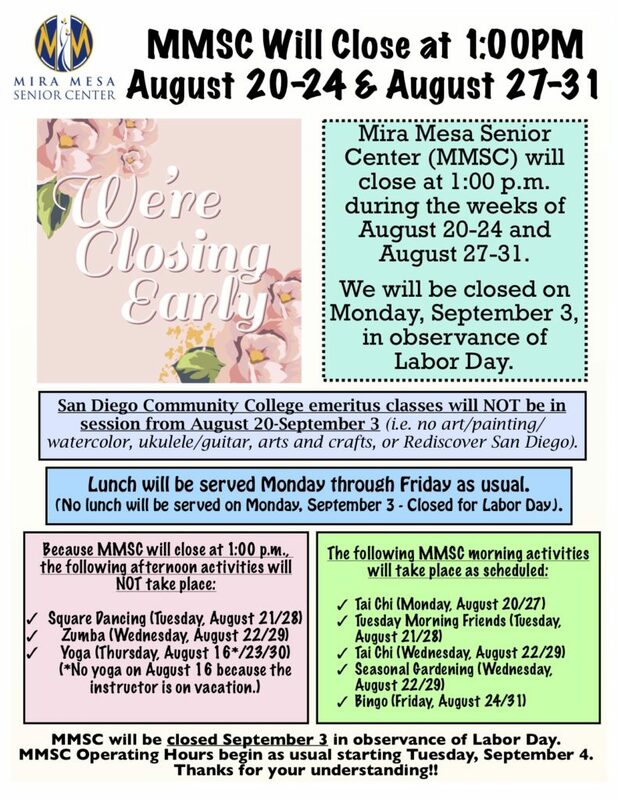 The Mira Mesa Senior Center will be closing early for select dates in August. We will be closing at 1:00pm from August 20-24 and again from August 27-31. We will be closed on Monday, September 3, in observance of Labor Day. San Diego Community College emeritus classes will NOT be in session from August 20 – September 3. Lunch will still be served daily, except for Monday, September 3.